Despite decades of effort to bring more women into medicine, and substantial changes in culture, earnings show an enduring hierarchy in which male specialists still reap the rewards. Alexandra Alvaro investigates. Final year medical student Sonia Srinivasan had heard that surgery was a “boy’s club”, but she didn’t expect to experience sexism from a senior male surgeon on her first day of a surgical placement in 2016. “As soon as I started suturing, he said to the whole theatre, ‘you suture like all women do … like you’re baking a cake’,” she says. The comment made Ms Srinivasan wonder if surgery was for her. “The personalities that do well are female students who don’t let that get to them, who can just ignore it. Over the past 50 years, many things have changed for women entering medicine. For more than 20 years, medical schools have had gender parity in their admission numbers. In a few specialties, such as paediatrics and general practice, women outnumber men. But many doctors and medical academics say stubborn remnants of sexism remain. There appears to be a hierarchy of specialties, with men continuing to dominate those that are better paid and prestigious. According to the most recent health department figures from 2016 (see graphs below), women are predominantly entering lower paid or undervalued specialties. The highest paid medical specialty in Australia is neurosurgery, where men make up 86 per cent of the workforce. It is followed by ophthalmology (74 per cent male) and otorhinolaryngology (81 percent). While all medical specialists are comparatively well paid, incomes vary because those who are also private practitioners can charge their own rates. 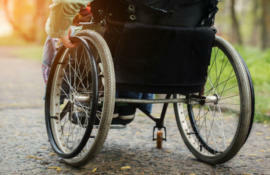 Fees are also influenced by Australian Medical Association guidelines, which factor in the risk certain procedures involve and the level of training required. Male specialists are paid 33.6 per cent more on average than females. General practitioner and academic at the Australian National University, Dr Louise Stone, says these specialties hold more “prestige”’. 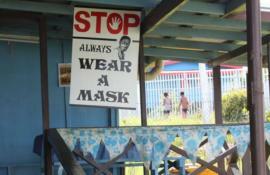 They are often more highly valued by the community. “The more procedural disciplines, such as neurosurgery and oncology, have higher prestige and more men do procedural disciplines,” she says. Dr Stone says procedural disciplines often have more black-and-white diagnoses and measurable treatment. The specialities women are more likely to go into are slightly more “messy” when it comes to treatment and diagnosis. Women make up just over 80 per cent of clinical psychologists and are well represented in psychiatry (44 per cent). Although she says there are many men doing fantastic work in roles that require more emotional labour, as a GP specialising in mental health she witnesses the trend. That is what can deter female medical students from choosing male-dominated specialties. Tarini Paul, 26, is in her final year of her medical degree at the University of Melbourne. She’s planning to go into surgery or another procedural discipline, but for a long time she was fearful that the career path was not for her. “I would have been more inclined to have pursued surgical training (earlier) if … I had had the experience with positive role models to support me through that or even ease my worries about wanting a family and wanting to be a surgeon,” she says. Ms Paul says one female surgeon she has spoken to told her that having a family would be challenging because it would cause her to “de-skill”. Medical colleges offer varying degrees of part-time study. The Royal Australiasian College of Pysicians, the Australian and New Zealand College of Anaesthetists and Faculty of Pain Medicine and the Australasian College for Emergency Medicine all require a minimum of 50 per cent full time study. For paediatrics and child health it is recommended that two thirds of the three-year basic training program be full time and continuous. For trainees at the Royal Australasian College of Surgeons, part-time study must be approved by the college six months in advance. For Ms Paul, meeting female surgeons who were supportive of part-time study and work was a crucial turning point. Attending a women in surgery networking event organised by the University of Melbourne and the Royal Australian College of Surgeons made her feel as if she could be a surgeon. “The female panel unanimously said as current consultants they themselves went through a lot of hardships in trying to juggle things, and so now they’re in the position of trying to recruit, any juniors wanting to balance other things will be supported. “Before I didn’t really think it was something obtainable. But having that event and being open to the people up there – I think that’s really for me taken it to a place where it’s something that’s obtainable and that I can really do. 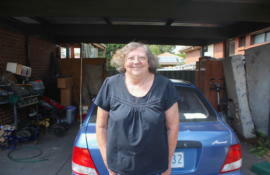 “There’s still more work that needs to be done but that’s a natural progression that will take place,” Ms Paul said. Only 12 per cent of surgeons in Australia are female, a number that has been slowly increasing each year. Surgery has been at the forefront of attention when it comes to sexism in medicine. 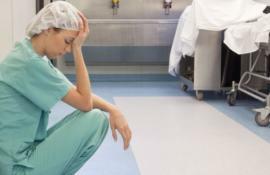 In 2015, an independent report commissioned by the Royal Australian College of Surgeons revealed that seven in 10 surgeons had experienced discrimination, bullying or sexual harassment in the previous five years. The most likely perpetrators were surgical directors or consultants. The report included stories from female surgeons detailing expectations to provide sexual favours and the humiliation of students. Victims reporting these cases feared speaking out because it could cost them their career. At the time of its release, the college apologised for the toxic culture existing within its training programs and promised a culture change. Some surgeons now feel optimistic about the future of the profession. Dr Neela Janakiramanen is a plastic surgeon specialising in hand and wrist surgery. She undertook surgical training while pregnant. That was eight years ago, and at the time it stirred up unwelcome comments from some colleagues. Today, she works in a much more equitable workplace. “A lot of the other professions that kind of slipped under the radar were actually quite a lot slower in creating more equitable workplace because they weren’t pulled into it in the same way,” she said. Women have a lot to give when it comes to the surgical profession, too. In a study conducted in Canada, researchers found that outcomes for female surgeons were better than those for male surgeons. Patients operated on by female surgeons were four per cent less likely to die and have complications 30 days post-operation. While the study did not list the reasons why female doctors had better outcomes, Dr Janakiramanen says it’s possible that because women find it so difficult to enter surgical careers, those who do make it have superior skills. Another reason women are needed in equal numbers across specialties is because to treat a diverse population, we need diverse doctors. According to the Australian Women’s Health Survey conducted by Jean Hailes, 70 per cent of women aged 18-35, and 66 per cent of all women, said they would prefer to see a female doctor about women’s health issues. Dr Janakiramanen says diversity is key to ensuring patients receive treatment they are happy with. Regardless of the improvements, the messages are not always getting through to young doctors. 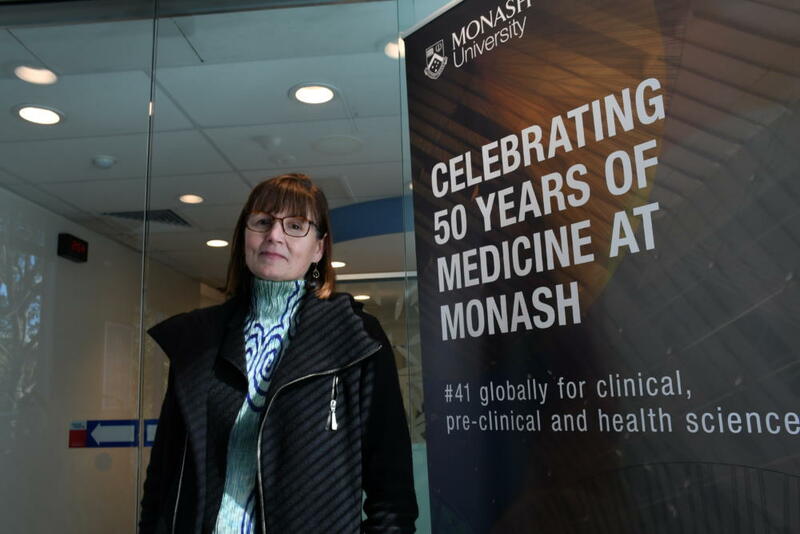 Deputy Dean of the Bachelor of Medicine at Monash University, Professor Michelle Leech, says it’s possible women are being turned off by inflexible training programs offered after university. She admits there is merit to undertaking full-time training, because continuity in learning is important. But slowly, women are proving otherwise. 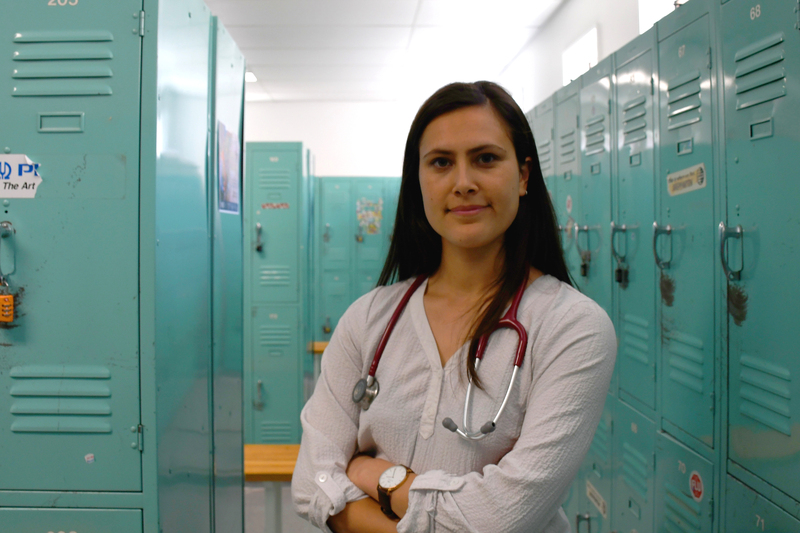 She’s noticing the women coming through her school are different to the ones she rubbed shoulders with during her time in medical school 30 years ago – and they’re “redefining ideas about gender all together”. Alex Alvaro, who is completing her Master of Journalism with the Centre for Advancing Journalism, is one of eight young journalists recruited as 2019 ABC News cadets.